Meizu mobiles made its advent in the country in the smartphone space in the year 2015. Ever since it has launched devices like the Meizu M3 Note, Meizu M3 Max, Meizu M2, and more. The Meizu MX4 review is here. 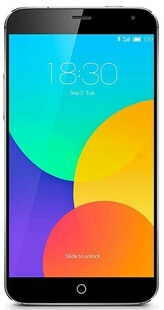 The Meizu MX4 full specs of the processor include an Android KitKat operating system along with a Flyme 4.0 built-in unit. The phone features a MediaTek MT6595 chipset and an Octa-core (4x2.2 GHz Cortex-A17 & 4x1.7 GHz Cortex-A7) processing unit. The device is aided by a 2GB RAM unit and a PowerVR G6200 GPU. The specs of the processor and RAM are not as one would expect for the price tag it comes with. At this price range, competitor products like the Mi Max Prime and OnePlus X offer much better specs. The Meizu MX4’s camera review isn’t positive. For, it comes with a 20+2MP camera unit. The 20 MP camera of the Meizu MX4 features an aperture of f/2.2 along with geo-tagging, touch focus, face detection, HDR, panorama, autofocus, and dual-LED (dual tone) flash. The selfie shooter on this is not as impressive as the primary camera as it is just a 2MP unit. The Meizu MX4 comes with 3 variants of internal storage capacities. All the 16/32/64GB internal storage variants do not support expandable memory. This feature is also towards the lower side like the LeEco mobiles. The Meizu MX4 features an impressive 5.36 inches IPS LCD screen that has a screen to body ratio of 75.8%. This screen unit produces a display output resolution of 1152 x 1920 pixels with a pixel density of 418 pixels per inch. This screen is protected from physical stress and damage by a Corning Gorilla Glass unit 3. The Meizu MX4’s battery unit is a 3100 mAh non-removable lithium-ion unit. The battery keeps the lights lit on the device for longer durations to provide optimum usage hours on a single charge. Meizu MX4 full specs and reviews as of Apr 2019. Buy it here!